While consumers may be paying more for chicken at grocery stores due to breeding problems, a new Bloomberg report shows that the cost of eggs is lower than it has been in over a decade. Experts say that a huge surge in supply over recent months has led to the plummeting prices. The news marks a big reversal for the industry from 2015, when a strain of avian flu forced farmers to destroy millions of chickens, sending egg prices skyrocketing. After the crisis, producers came back with a vengeance by expanding their flocks like never before, but all that growth has led to a surplus of eggs that goes well beyond demand. “The market was temporarily starved for eggs, and now it’s drowning. There’s just too many eggs out there,” remarked Tom Elam, president of the consulting firm FarmEcon LLC. In May, retailers were selling a dozen eggs for an average of $1.414 – the lowest figure since 2006, according to the Bureau of Labor Statistics (BLS). Officials say that prices have dropped 52% since September 2015 and are on track to fall another 6% this year, despite an overall food inflation projection of 2%. Other projections show that total egg supplies will climb 1.3% in 2017, with much of that production coming from domestic producers. 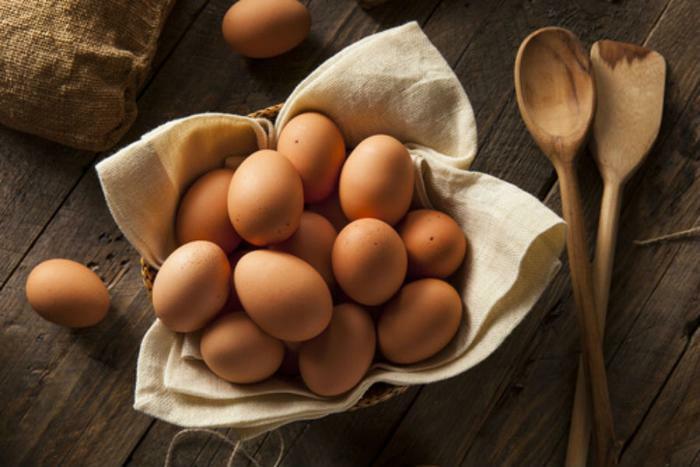 While the boom in egg supplies has negatively affected the egg industry’s bottom line, experts say the low prices will force producers to cut back, which will eventually normalize the market. Production has already been cut back at several large companies, including Midwest Poultry Services LP in Mentone, Indiana. “This year, the first six months have been disastrous…It’s just a good reminder to everybody that this is a cyclical business,” said CEO Bob Krouse. Of course, expanding flocks are only partly behind the big increase in eggs. Another is that the hens currently being raised by producers have a higher affinity for laying eggs. On average, 100 hens can produce up to 77.1 eggs per day, according to the USDA – up 1% since last year. Experts also say that the increasing trend of having cage-free hens is limiting producers’ ability to trim flocks and to cut down on production. “[Farmers are] unprofitable right now, but they find themselves in an awkward situation,” said dairy analyst Knox Jones, noting that farmers have to simultaneously produce less eggs to fix the market but expand flocks of cage-free chickens to meet demand.